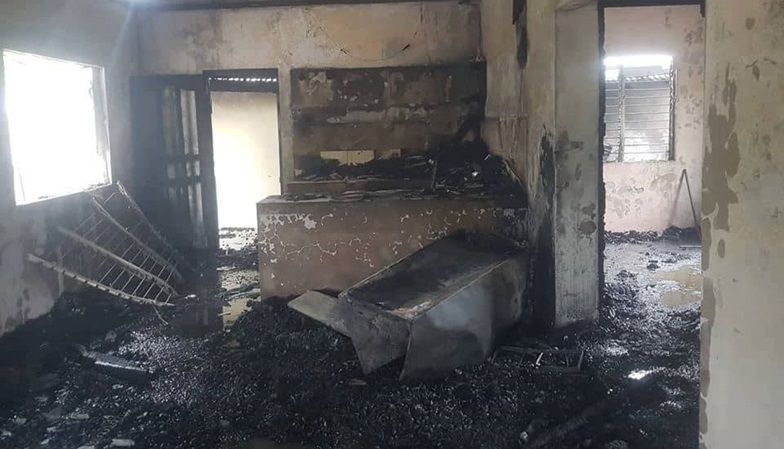 A fire which raged for over half an hour left P1 million in property damage in a house rented by a French couple in Panglao on Sunday. Fire authorities were alerted by residents who saw the blaze at 12:40 p.m. in Purok 3, Barangay Tawala, Panglao, said FO1 Inocencio Escarten of the Panglao Fire Station. The fire was declared under control at 1:10 p.m.
No one was injured during the incident as the tenants, Arnaud Guirin and Virginia Guirin, were not home when the fire erupted. The concrete house however was almost completely gutted. According to Escarten, the couple had just left the house to tend to their business in Alona Beach before the fire started. Appliances were left plugged inside the house which may have caused the fire, he said. However, fire authorities continued to conduct further investigations to identify what ignited the fire. The Panglao Fire Station was also set to interview the Guirins, Escarten said.